Despite overwhelming public support for Net Neutrality, some members of Congress believe the FCC regulations are a threat to open internet and innovation in the telecommunications industry. It seems that the debate over net neutrality is never ending. Earlier this month we saw the first legal challenges to the proposed new regulations to treat ISPs as common carriers, and now that the regulations have been added to the federal register there are fresh challenges. But does public opinion align with the will of business and Congress? Representative Doug Collins of Georgia’s 9th district filed a “resolution of disapproval” last week in an attempt to nullify the new regulations. The short resolution would simply declare the regulations void if it were to pass through congress, and according to Motherboard, the resolution already has 14 republican co-sponsors. However, this resolution is at odds with voter sentiment. A recent small poll from Vox Populi showed that 81 percent of voters, including 81 percent of Republicans, agree that the internet should remain open and free. Additionally, 80 percent of voters agree with Wheeler’s statements that there should be no blocking or throttling. The new regulations have received push back from a number of industry players, such as Verizon, and from other members of the government. Rep. Marsha Blackburn of Tennessee submitted a similar resolution as Collins at the beginning of this month. While Blackburn and Collins claim these resolutions aim to preserve the internet, it seems their resistance to Net Neutrality may be more motivated by lobbying efforts. Rep. Collins has received $11,500 in campaign financing from the National Cable and Telecommunications Association (NCTA) since 2011 and Rep. Blackburn has received $56,000 from the same association since her political career began in 1991. Additionally, her top donors include AT&T and Verizon which have each contributed in excess of $60,000 to her campaigns. Once again, some members of Congress have sided with the phone and cable lobby and against internet users, but their campaign against the open internet is all bluster. Egged on by industry lobbyists, these representatives think they can fool others in Congress and beyond to believe that Net Neutrality threatens investment and innovation in digital networks. When the open comment period for the new regulations closed, we got an insight into consumer opinion on net neutrality. One of the major themes of the comments was regarding the toxic influence of corporations on the internet. 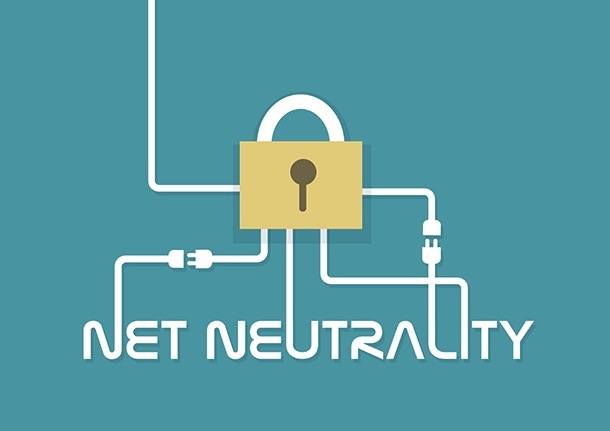 With 81 percent of consumer agreeing with the regulations, and less than one percent of the three million open comment submissions arguing against net neutrality, these resolutions are clearly not in the public interest.